When 5 year old Lucas Conway got to school the first week of November he was distraught that he had forgotten to bring non-perishable food items for the local Cheshire Food Drive, Incs. program. When Lucas got home from school he was visibly upset & on the verge of tears. 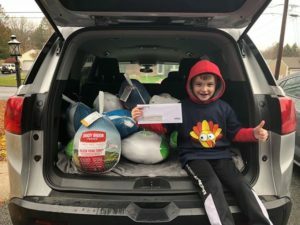 He told his mom “We forgot to help our community” His mom, Jennifer Conway and her husband told him he could help the community in other ways. 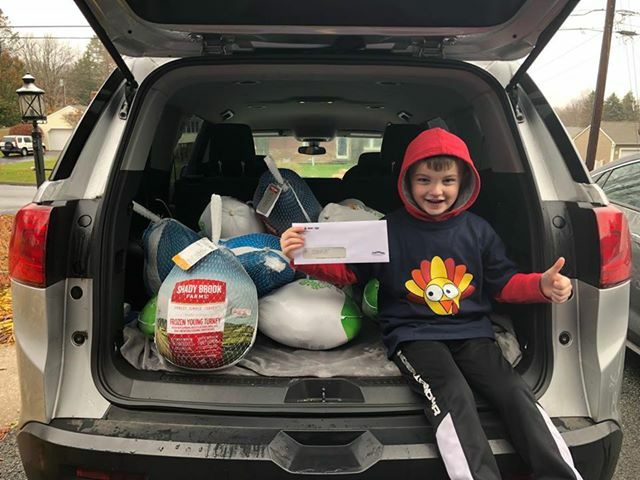 Lucas decided he would donate 5 turkeys. 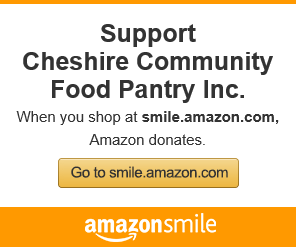 Lucas began calling family members and requesting donations to make the purchase. 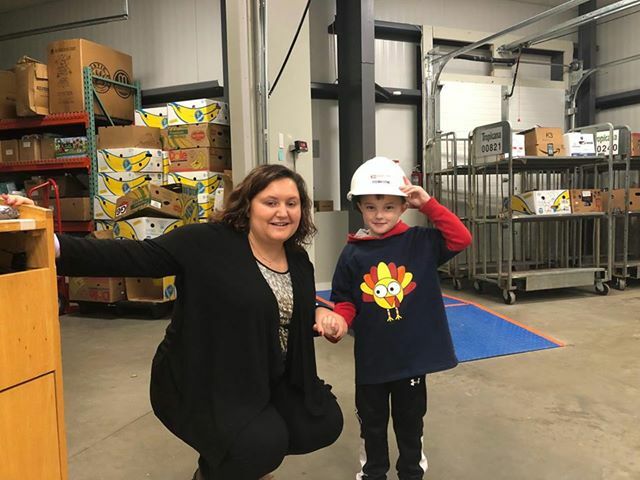 He was even able to secure a $100 donation from his father’s company! As a thank-you for the donation we gave Lucas a tour of the pantry & gave him a small token of our appreciation. Checkout the donations & picture from Lucas’ visit below.